Have you ever wanted to take a close look at a newly remodeled home AND ask the remodeling team questions right there on-site? Savvy homeowners know the best opportunity is the annual NARI Atlanta Tour of Remodeled Homes. For the ninth consecutive year, NARI Atlanta, the local chapter of the National Association of the Remodeling Industry, will present remodeled homes in the north metro area, Saturday, Sept. 15, 2018 from 10 a.m. – 4 p.m. At each home, the remodeling team will be on-hand to showcase special features, answer questions and even talk about unique challenges that were overcome. The tour is self-guided and will be held rain or shine. Advance tickets (purchased now through Sept. 14) are $20 and tickets purchased the day of the tour are $25. They are available at www.atlantaremodelingtour.com and at each home on the tour during the event. Sponsors for the NARI Tour of Remodeled Homes include Bin There Dump That, PMC Building Materials, Dove Studio Kitchen & Bath and My Home Improvement magazine. A portion of the proceeds will be donated to Camp Sunshine. See more at www.facebook.com/NARIAtlantaTour. 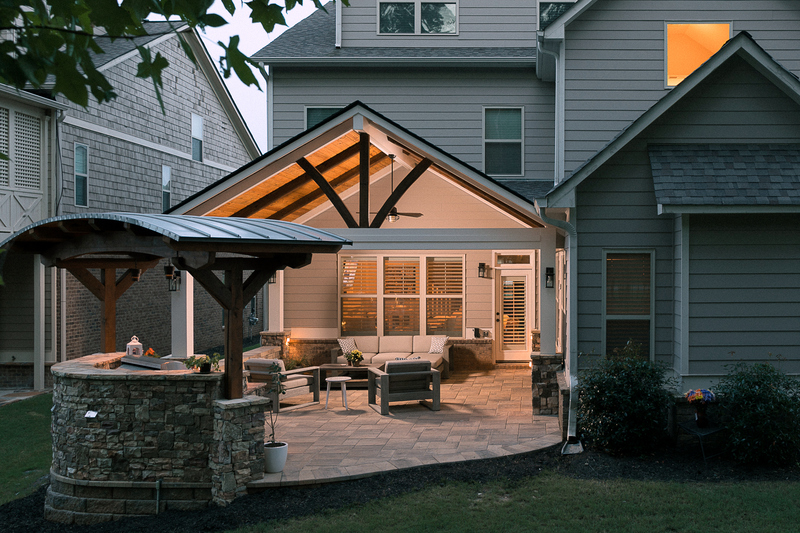 Decks and More, Inc. (home in Marietta) — A dramatic vaulted roof and deluxe outdoor grill area were added to maximize the existing patio space. Beautiful stonework enhances the luxurious indoor-outdoor feel of the new exterior living space. This remodeling project includes work by NARI Atlanta member TimberTown Lumber Yard. 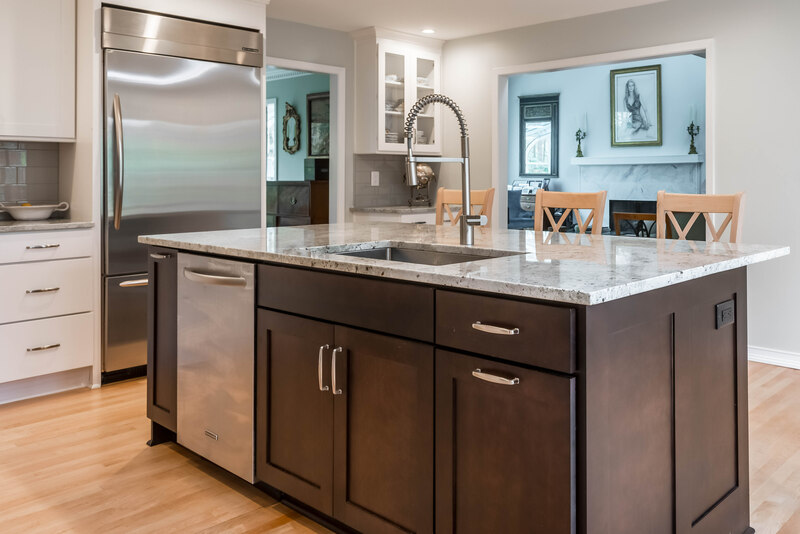 Harbour Towne Construction, Inc. (home in Dunwoody) — The homeowners wanted to upgrade their kitchen with new cabinetry and appliances. Harbour Towne Construction redesigned the kitchen to open it up to the living room and added a large kitchen island along with new cabinets. In addition, a portion of the garage was closed in to create a mudroom. The beautiful new kitchen features expanded counter space, higher-end appliances and a much better flow for cooking and entertaining. The remodeling project includes work by NARI Atlanta members Dove Studio Kitchen & Bath and Wellborn Cabinet. Master Home Remodelers (home in Sandy Springs) — This mid-century modern home owned by a NARI contractor boasts a number of beautiful and unique architectural features. Portions of the interior, however, were showing their age. Tour attendees will see the dramatic transformation of an outdated master bath into a beautiful and relaxing new space. Neighbors Home Remodeling (home in Marietta) — The home was updated by removing the wall between the kitchen and great room and completely renovating the kitchen. An island, 48″ commercial range and built-in refrigerator complete the transformation. A butler’s pantry was also added to increase character and functionality. This remodeling project includes work by NARI Atlanta member TrueSource Home Specialties. Weidmann & Associates, Inc. (home in Dunwoody) — The homeowners wanted to transform their outdated, nonfunctional basement into several distinct areas, including a “man cave,” a playroom for their young grandchildren and a private guest suite. Much of the design phase was spent determining the best way to maximize the space as well as to ensure that the guest suite and kitchen could accommodate the homeowners and guests of all ages. Camp Sunshine was founded in 1982 by Dorothy Jordan, a pediatric nurse with a heartfelt vision to create a camp where kids with cancer could be kids again. Today, over 400 campers from across Georgia and 225 volunteers participate in summer camp, which takes place over two separate weeks for children and teens. The organization’s year-round programs throughout the state include recreational activities, trips and outings, as well as educational and support programs for the entire family. All programs are offered at no cost to the participating families. Camp Sunshine is committed to providing opportunities for normal development for all children with cancer throughout their journey and bringing together those with similar experiences to share and draw strength from one another and common understanding. Learn more at www.mycampsunshine.com.